President George W. Bush departs the White House on his helicopter, Marine One. 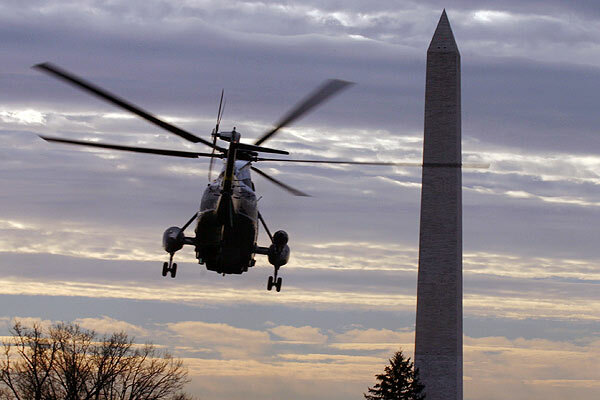 December 1, 2003 - President George W. Bush departs the White House on his helicopter, Marine One. President Bush is traveling to Michigan and New Jersey today to attend fundraising events.